Published in 'The Machinist' dated October 2014. Indigenisation, capacity building for larger production, meeting the production orders ahead of schedule and ensuring different variants of the flagship missile is what Sudhir Kumar Mishra, the MD & CEO of BrahMos Aerospace, wants to achieve during his tenure. Although it's been only a few months that he has taken charge as the MD & CEO of BrahMos Aerospace, Sudhir Kumar Mishra is a seasoned campaigner in this field. He has already looked after all major missile programmes of India as the Director Missile Programme at the DRDO Headquarters. Considered as the top missile scientist in India today, he has also coordinated international joint missiles development programmes with Russia, Israel and France. He has also worked closely with two stalwarts in this segment: the present DRDO chief and India's missile man Dr APJ Abdul Kalam. With this robust background, Mishra is now aiming to take missile manufacturing in India to the next level. BrahMos is a two-stage missile with a solid propellant booster engine as its first stage which brings it to supersonic speed and then gets separated. The liquid ramjet or the second stage then takes the missile closer to Mach 3 speed in cruise phase. Stealth technology and guidance system with advanced embedded software provide the missile with special features. The missile has flight range of up to 290-km with supersonic speed all through the flight, leading to shorter flight time, consequently ensuring lower dispersion of targets, quicker engagement time and non-interception by any known weapon system in the world. It operates on "Fire and Forget Principle", adopting varieties of flights on its way to the target. Its destructive power is enhanced due to large kinetic energy on impact. Its cruising altitude could be up to 15 km and terminal altitude is as low as 10 meters. It carries a conventional warhead weighing 200 to 300 kg. "Indigenisation of missile development in India, capacity building for larger production, meeting the production orders ahead of schedule to ensure delivery of missiles on time and to ensure different variants of BrahMos missiles to meet the aspirations and requirements of the defence force including Army, Navy and Air Force are my immediate priorities. In order to meet the above requirements, we now have to focus more on production of engine and seeker in India," he says. In addition, BrahMos Aerospace is now gearing up for the testing of the air-launched version of the missile from the IAF's Su-30MKI fighter aircraft by this year-end or early next year. "Once the integration and ground tests are over, we will carry out the flight trials from the frontline fighter aircraft." According to Mishra, BrahMos is a total solutions company which handles all the stages of the missile operation including design, development, serial production, marketing, delivery, after sales support & maintenance, upgrades and new products creation. "We have formed a unique public-private consortium, to speed up production of the missile system. Industry partners are the strength and backbone of BrahMos. More than 200 industry partners from India are committed to the BrahMos programme. They are continuously producing and delivering various systems and sub systems ranging from small rubber components to technologically advanced airframes and navigation systems. Together, we are also focussing on enhancing the indigenous contents of the BrahMos missile system." 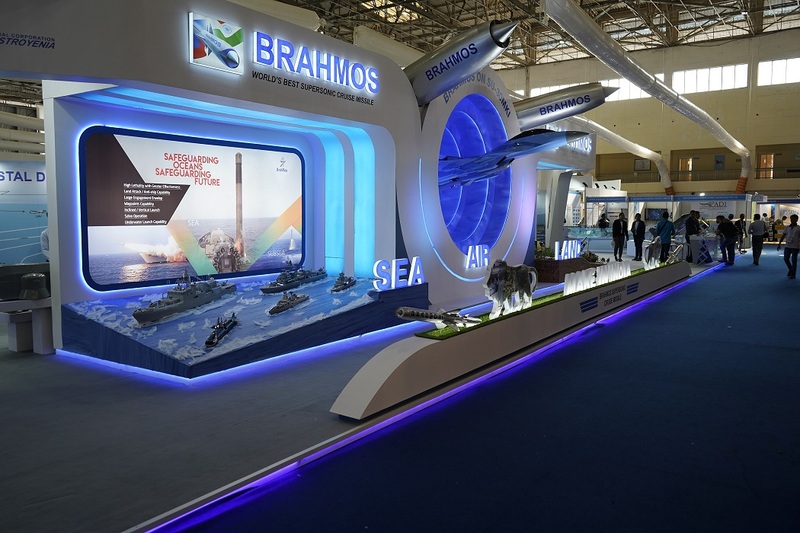 BrahMos Aerospace was formed as a joint venture between Defence Research and Development Organisation (DRDO) of India and Joint Stock Company "Military Industrial Consortium" "NPO Mashinostroyenia" (earlier known as Federal State Unitary Enterprise NPOM of Russia). The company was established in India through an Inter-Governmental Agreement signed on February 12, 1998, between The Republic of India and The Russian Federation. The company was established with an authorised capital of US$250 million with 50.5 percent from Indian side and 49.5 percent from Russian side. 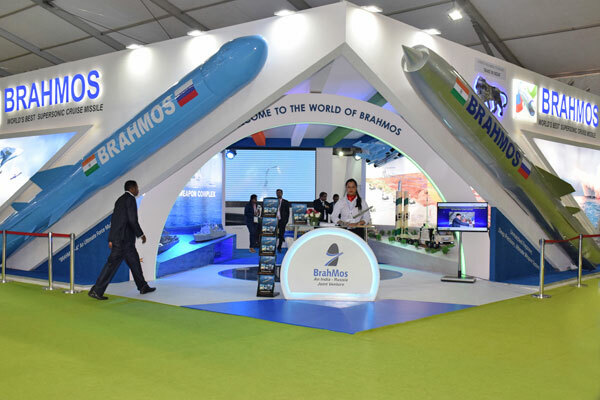 The company is responsible for designing, developing, producing and marketing the BrahMos supersonic cruise missile with active participation of a consortium of Indian and Russian industries. 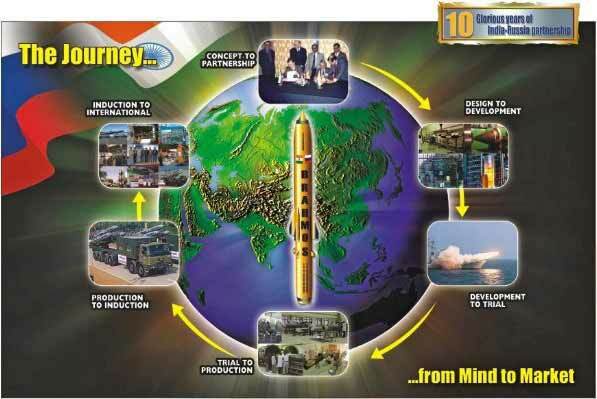 The JV Company has become a role model by integrating public-private industries from India and Russia as a consortium of "Missile Industry Complex". It has penetrated the international market with the most potent weapon system for precision strike and a Force Multiplier in Network Centric Warfare. Given India's volatile neighbourhood, it is imperative that the armed forces are well stocked with the appropriate arms and ammunitions. So, is BrahMos Aerospace able to meet the demand from the Indian armed forces in terms of its production capacities? "Yes, BrahMos has been successful in meeting the requirements of the Indian armed forces pertaining to their delivery demands. We have excelled in delivering the missile to the services ahead of schedule which clearly highlights our production commitments and users' satisfaction." The Indian Navy has currently deployed the missile system on almost all the frontline surface warships of the maritime force. The Indian Army, till date, has placed orders for BrahMos to be deployed in three of its regiments and two of them are already fully operational with the Army with orders for many more in the pipeline. "We are enhancing our production capacity in Hyderabad, Nagpur and Pilani by developing further dedicated production lines and product support centres simultaneously," Mishra shares. Development work for the third production centre in Nagpur, which will be exclusively dedicated to the Air Version, is in progress. 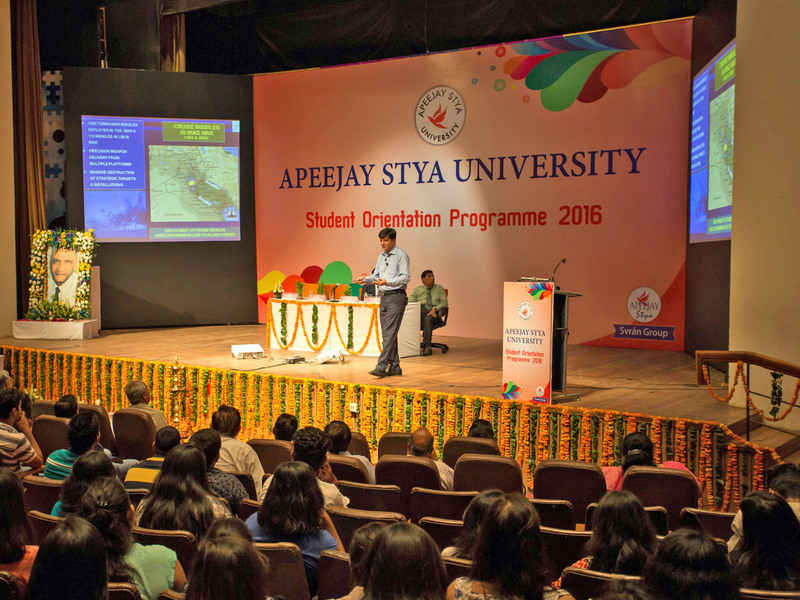 "We expect full-fledged production from this centre very soon." There has also been a demand for the BrahMos missile from other countries too given its extraordinary capabilities. The Inter-Governmental Agreement stipulates the use of this advanced missile system by the Indian and Russian Armed Forces as well as export to friendly countries. Several South-East-Asian and Latin American countries have expressed their interest in the system, particularly for the naval and coastal defence versions. A definite list of such countries already exists. 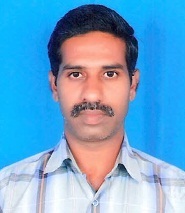 "We are progressing with our marketing strategy for exporting BrahMos to certain nations. We expect several export contracts to be signed with the nations friendly to both India and Russia in the near future. But the decision to export will be taken only after the approval of both Indian and Russian Governments." BrahMos is an excellent example of collaborative excellence in a supply chain. It has led to the establishment of a robust Missile Industrial Complex (MIC) in both India and Russia. The MIC is a conglomeration of public and private sector defence firms in both the countries that have been actively involved in developing, producing and supplying various critical systems and sub-systems for the weapon. As already mentioned, there are over 200 companies (205 to be precise) as part of this supply chain at present from India. "Since the demand for BrahMos is quite high, with present orders for it worth over thousands of crores, it is our topmost priority to meet the delivery timelines and ensure users' satisfaction. And in order to meet our deadlines, we need to systematically manage our supply chain. One focus area here is full capacity building, to ensure production of the entire BrahMos system in both the countries. Being JV partners, our goal is to ensure that both countries should be able to produce 100 percent of the missile in India as well as Russia." This means, all the associated partners should produce and supply the necessary components ensuring interchangeablity by following common standards, which will ensure meeting the user requirements. "This will not only double up our scale of production, but would also enable us to meet any immediate or future large-scale requirements." The BrahMos Missile is the world's first and only supersonic cruise missile. It is a precision strike weapon for Army, Navy as well as Air Force and can be fitted in Ships, Mobile Launchers, Submarines and Aircraft against land and sea targets. 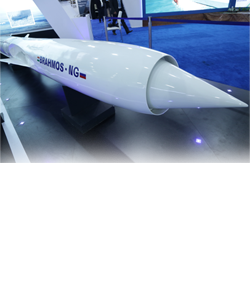 Compared to existing state-of-the-art subsonic cruise missiles, BrahMos has three times more velocity, 2.5 to 3 times more flight range, 3 to 4 times more seeker range and nine times more kinetic energy. The missile has identical configuration for land, sea and sub-sea platforms and uses a Transport Launch Canister (TLC) for transportation, storage and launch. At present, the BrahMos Missile can be launched from land and water. Work is in progress to make it deployable by the Air Force as well. "We are hopeful that the first flight trial of BRAHMOS-A from the Su-30MKI will take place by early next year. 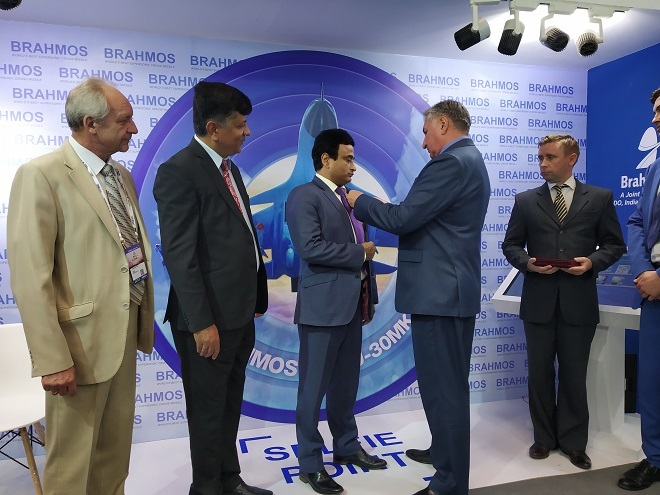 BrahMos Aerospace is closely coordinating with HAL, the Indian Air Force and our Russian partners to ensure that the maiden trial of the BrahMos airlaunched version takes place at the earliest as deliveries are to be commenced from 2016," Mishra says. 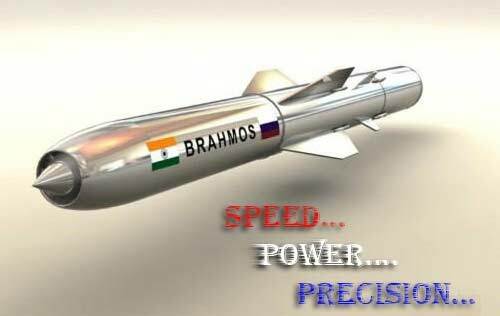 BrahMos Aerospace is also planning to develop a 'mini' version of the missile and the organisation is currently doing a feasibility study for the new revolutionary weapon. The primary features of the new missile would be that it will be lighter, smaller, more agile, highly lethal and more precise over its predecessor. It will have a top speed of Mach 3.5. The weapon will carry a similar payload and will have the same range like its predecessor. "However, BrahMos-Mini will be around six metres in size. Our main purpose of developing BrahMos-Mini is to ensure that it is deployed on a larger number of military platforms. In particular, torpedo tubes of submarines and fighter aircraft like SU-30 MKI, MiG-29 and FGFA. 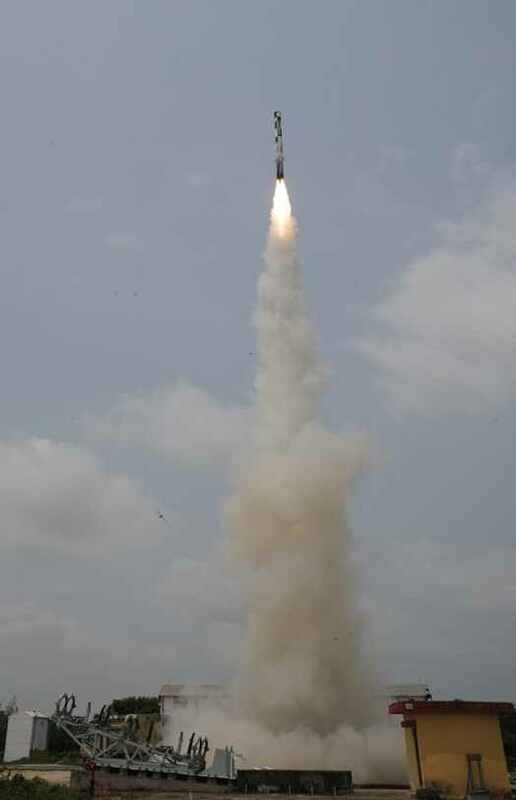 We have just initiated work on the new project and it will take around three years to design, develop and validate this miniature variant of BrahMos." As of now, BrahMos Aerospace has set the date for the year 2017-2018 by which time the new missile would be inducted into our armed forces. 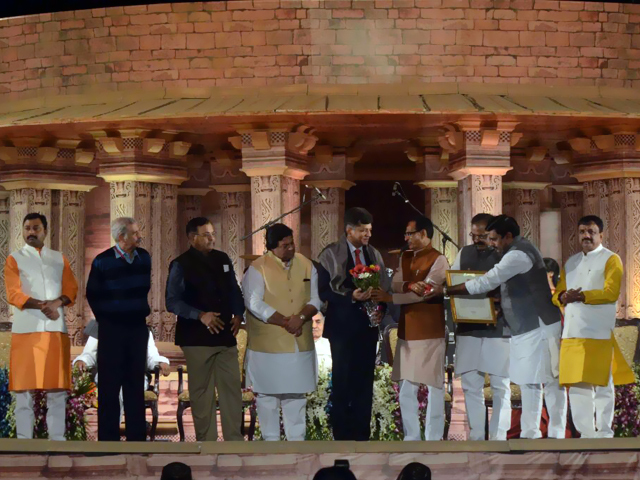 Having played a key role in the nation's missile programmes, Mishra has also worked on several international projects. And he ranks India's capabilities in this field amongst the finest. "Having years of enriched experience in India's defence programmes, especially in the missile projects, I must say that India today stands tallest among many nations in designing and developing a wide range of sophisticated missiles successfully. The foremost being the Agni series of ballistic missiles. Despite the restrictive technology denial regime imposed on us by the developed nations for several decades, we have emerged victorious in developing our own critical systems and technologies as deterrent and are now proud to own and produce many tactical and strategic missiles. DRDO work ethics, value system and technical training has created deep impact on me and prepared me to undertake the challenging task as head of the World's best cruise missile company. 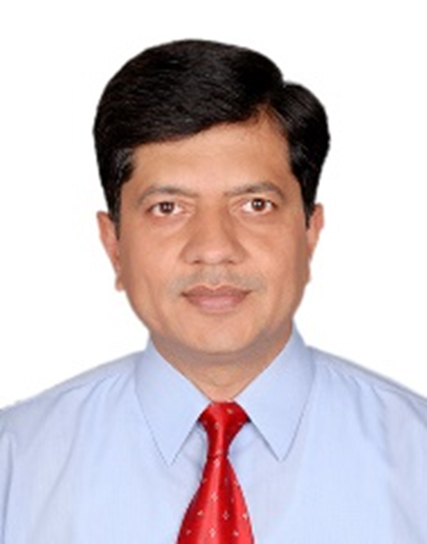 Moreover, Dr. Avinash Chander the present DRDO Chief has groomed me to undertake leadership and challenges, and deliver weapon systems to the nation on promised schedule," Mishra explains. 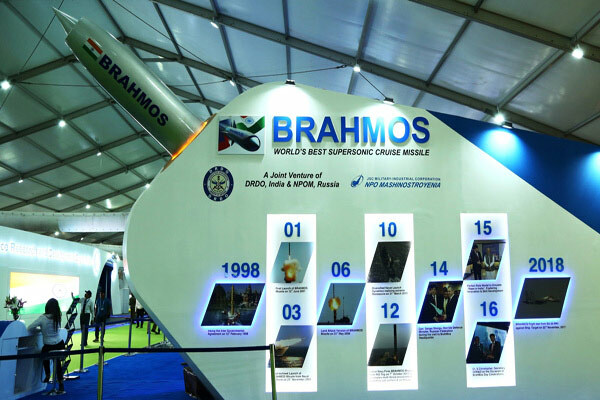 BrahMos today is the world's leading supersonic cruise missile, with flight results which has established accuracy, reliability, ease of operation, fastest reaction time and practically no maintenance during storage when compared to other cruise missiles available in the world market. The missile system is planned to be launched from submarine and Su-30MKI platforms. The supersonic cruise missile system has already been inducted in the Indian Army and Indian Navy. 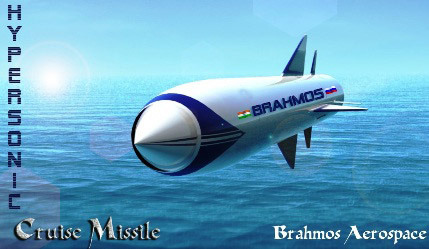 The name BrahMos represents the fury of India's Brahmaputra River and the grace of Russia's Moskva River. Mishra wants to unleash this potent power in the segment of missile manufacturing in India. "In future, BrahMos endeavours to develop the fastest hypersonic missile in the world, which would travel at speeds above Mach 5 being practically invincible to enemy radars owing to its stealth technology and speed. Our vision is to remain as the world leader in the field of Cruise Missile Systems, excelling through Research and Development efforts in design and software upgrades and delivering a state-of-the-art weapon complex. We want to retain our leadership as the producers of world's best cruise missile system in the years to come in both supersonic and hypersonic arena.